There are some shady software applications in circulation that will try and change your browser settings without your knowledge. One of the best known examples being when you load up your browser to find a completely different, heavily sponsored homepage in place. Google has a new tool that can watch for sneaky changes being made to Chrome. It's called the Software Removal Tool, and for now it's only available in beta form for Windows machines. 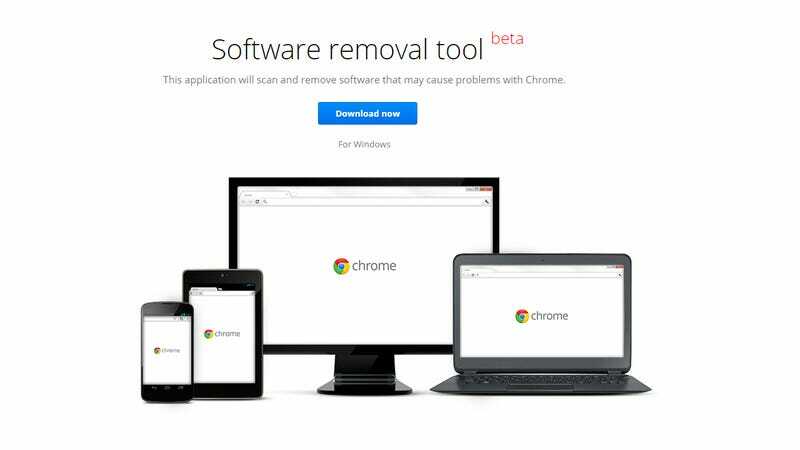 In Google's own words it will "scan and remove software that may cause problems with Chrome." Once you've got the program downloaded, installed and launched on your system, it will take a look around and warn you if anything seems amiss. Thankfully our system got a clean bill of health. It looks like this application is designed to be used if you've already had a problem, because we were then prompted to reset our Chrome browser settings back to their default state (just click Cancel if you don't want to do this). The program requires no installation and you can run it again at any point in the future. Presumably if issues are detected, then the software will try and clean them up.